With over 50,000 copies sold, "Simply Vegan" is not a book that lies on the shelf but is regularly used by busy people trying to live a vegan or vegetarian lifestyle. Over 160 good tasting, but quick practical recipes are profiled. 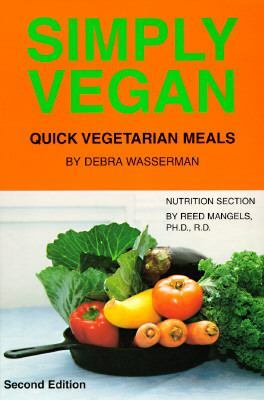 In addition, Reed Mangels gives readers a complete vegan nutrition section that includes easy-to-read charts, menus, and meal plans.Waserman, Debra is the author of 'Simply Vegan: Quick Vegetarian Meals - Debra Wasserman - Paperback' with ISBN 9780931411151 and ISBN 0931411157.